Najib's statement Saturday confirmed days of mounting speculation that the disappearance of the Malaysia Airlines Boeing 777 with 239 people on board was not accidental, and underlines the massive task for searchers who already been scouring vast areas of ocean. 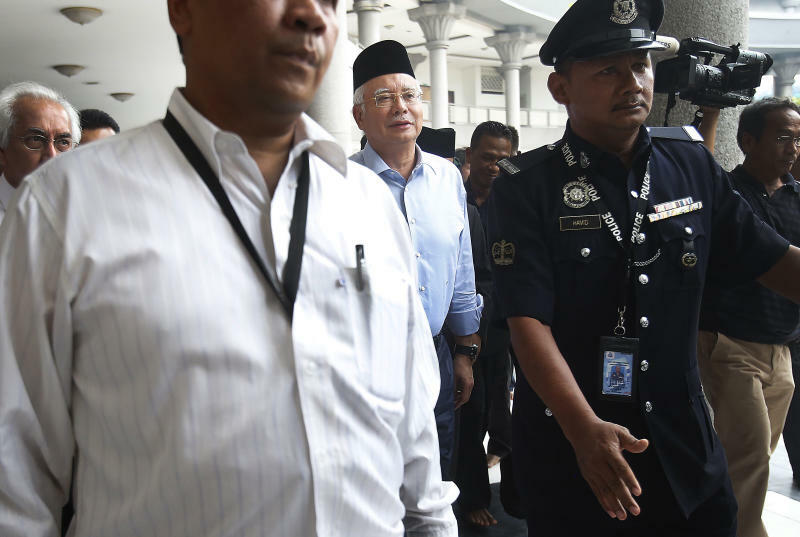 "In view of this latest development, the Malaysian authorities have refocused their investigation into the crew and passengers on board," Najib said, stressing they are still investigating all possibilities as to why the plane deviated so drastically from its original flight path. 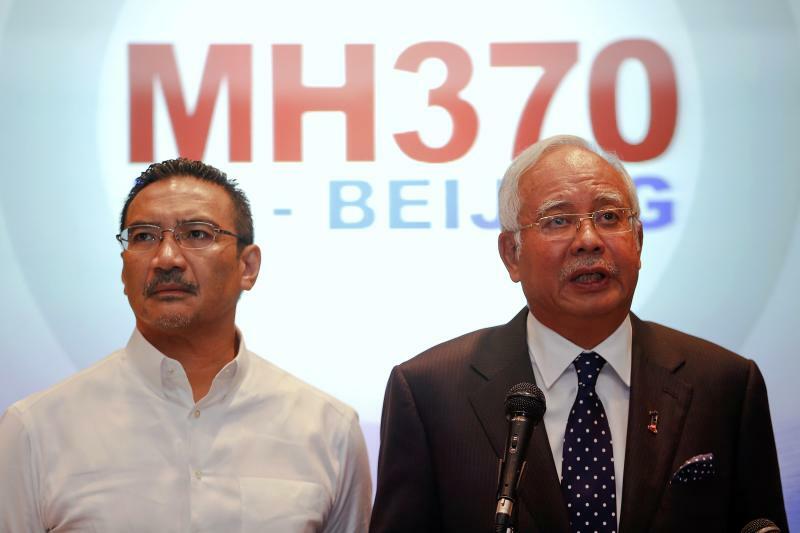 "Clearly the search for MH370 has entered a new phase," Najib told a televised news conference. 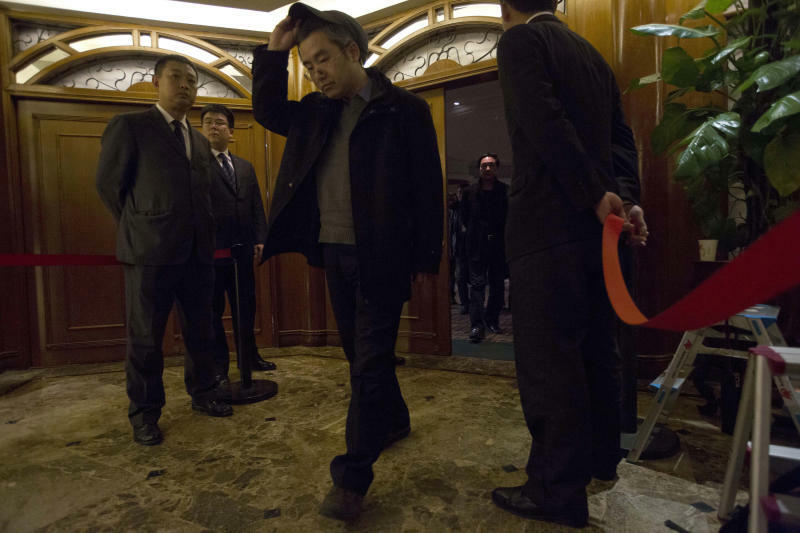 The Malaysian Airlines flight 370 was carrying 239 people when it departed for an overnight flight from Kuala Lumpur to Beijing at 12:40 a.m. March 8. The plane's communications with civilian air controllers were severed about 1:20 and the plane went missing in one of the most puzzling mysteries in modern aviation history. Najib said investigators now have a high degree of certainly that one of the planes communications, the Aircraft and Communications Addressing and Reporting System, was disabled before the aircraft reached the east coast of Malaysia. Shortly afterward someone on board then switched off the aircraft's transponder, which communicates with civilian air traffic controllers. The prime minister then confirmed that Malaysian air force defense radar picked up traces of the plane turning back westward, crossing over peninsular Malaysia into the northern stretches of the Strait of Malacca. Authorities previously had said this radar data could not be verified. He then said the last confirmed signal between the plane and a satellite came at 8:11 a.m. Malaysian time — 7 hours and 31 minutes after take-off. Airline officials have said the plane had enough fuel to fly for up to about eight hours. "The investigations team is making further calculations which will indicate how far the aircraft may have flown after this last point of contact," he said. Najib said authorities had determined that the plane's last communication with a satellite was in one of two possible "corridors" — a northern one from northern Thailand through to the border of Kazakstan and Turkmenistan, and a southern one from Indonesia to the southern Indian Ocean. Najib said that searching in the South China Sea, where the plane first lost contact with air traffic controllers, would be ended. The current search involved 14 countries, 43 ships and 58 aircraft.